OSCAR ADLER KONTRAFAGOT ORCHESTRA MODEL MOD.1369. 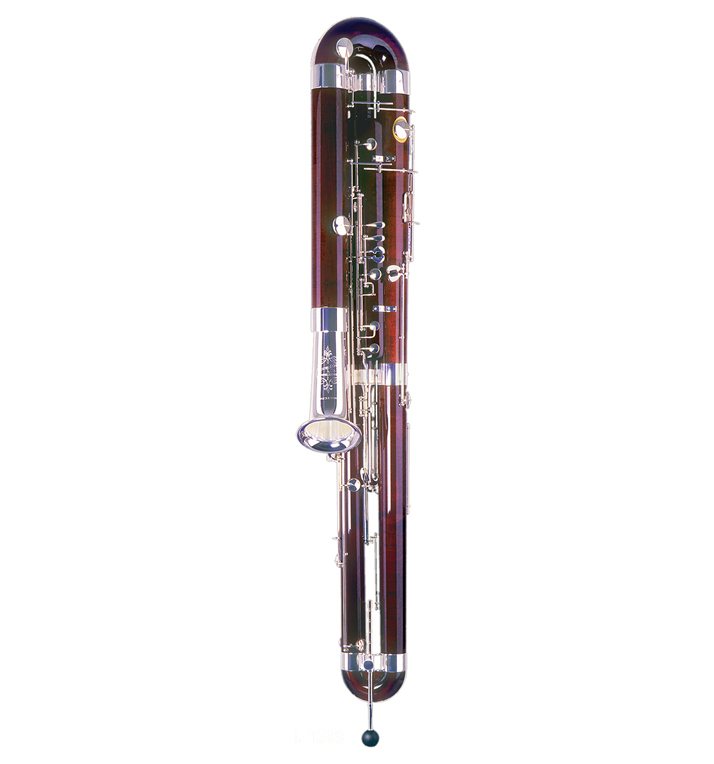 The Adler 1369H Contra Bassoon is a brilliant instrument with a rich and deep tone. It plays to a low B and has 11 rollers. Its body is completely wooden and made from well seasoned maple wood. It has a 3D-adjustable hand rest and comes with an aluminum flight-case. Instrument Specifications: Complete wooden body Well seasoned maple wood Silver plated metal bell To low Bb 11 rollers on C and Eb (wing joint) Eb and C# (left small finger) F, F# and Ab (right small finger) C and D (left thumb) Bb and F# (right thumb) 3D-adjustable hand rest 2 bocals 'Oscar Adler & Co.' soldered by hand and silver plated Complete with rollable aluminium-flight-case and accessories Optional double Eb key for right thumb. LÜTFEN ÖN BİLGİ VE SİPARİŞ İÇİN MÜŞTERİ TEMSİLCİSİ İLR GÖRÜŞÜN.